Citrus concentrates are a safe asset. Orange is undoubtedly the preferred flavour among consumers worldwide. Well above other flavours like cola, pineapple or grapes, citrus fruits represent a safe asset in the production of soft drinks, syrups, ice cream and candy. Citric fruits’ have numerous nutritional properties. 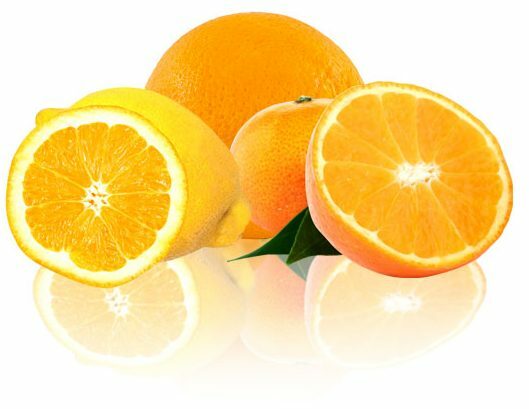 Orange concentrate or lemon concentrate are a natural source of vitamins and minerals and they consumption favours the obtaining of vitamins A, B1, B2 and C, copper, potassium and sulphur, which strengthen tissues and prevent both colds and mucosal infections while regulating blood pressure and blood sugar levels. Grapefruit concentrate for example is particularly recommended for cleaning the liver, it improves digestion of food and prevents from getting the flu. However, in general, all the juices from citrus concentrates protect the digestive system, control cholesterol and uric acid, prevent diabetes and promote a smooth and healthy skin because they contain many vitamins. But the nutritional properties of citric fruits related to health are not the only reason for their success in the markets. Citrus concentrates are a safe economic asset dute to their global consumer acceptance and the growth of a more demanding and segmented demand in terms of product variety in both range and type. Citrus concentrates are now separately presented, as they have been in the traditional way, through the classical orange concentrate, grapefruit concentrate, tangerine concentrate, mandarin concentrate and lemon concentrate; but they may also be combined to obtain mixes such as citrus cocktail concentrate, lemon and mint concentrate, which is mainly used for the preparation of mojito, or orange and carrot concentrated, which has been very demanded lately due to the current bond between healthy eating and fitness. This trend has lead manufacturers to prepare tailor made blends. In this sense LemonConcentrate is a pioneer in the distribution of citrus concentrates through the development of our compounds and concentrates of orange fruit and lemon, by utilizing the whole lemon and the whole orange in varying proportions so that we can customize the intensity of the organoleptic and nutritional properties of the final product, thus offering customized results both product and price-wise for each of our clients.